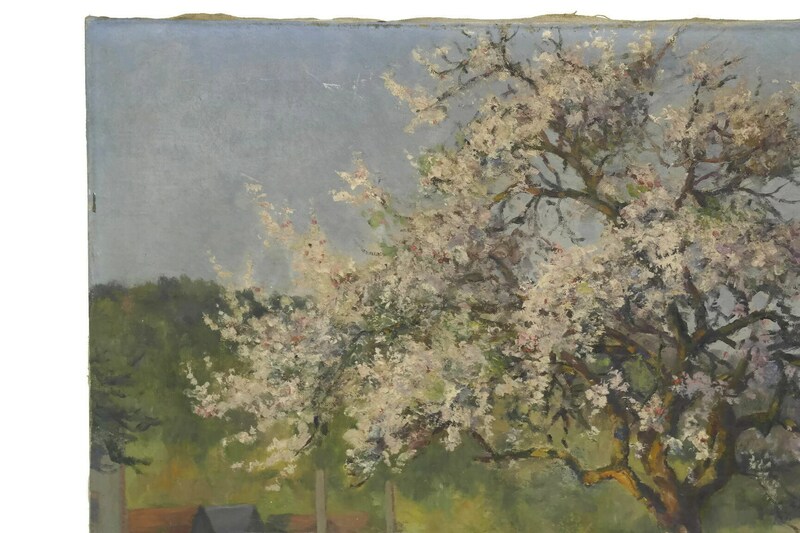 An exquisite antique landscape painting of a tree in bloom by the French artist Louis Jules Albert Coignard (1810 - 1883) and dating to the late 1800s. 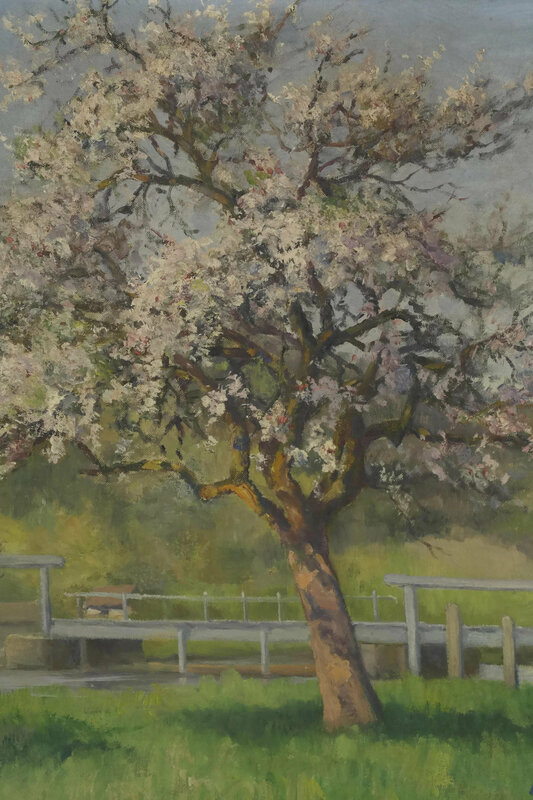 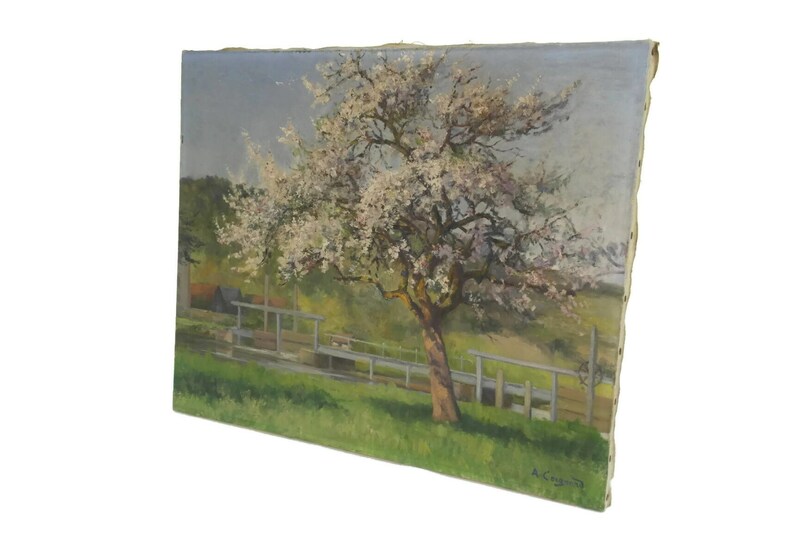 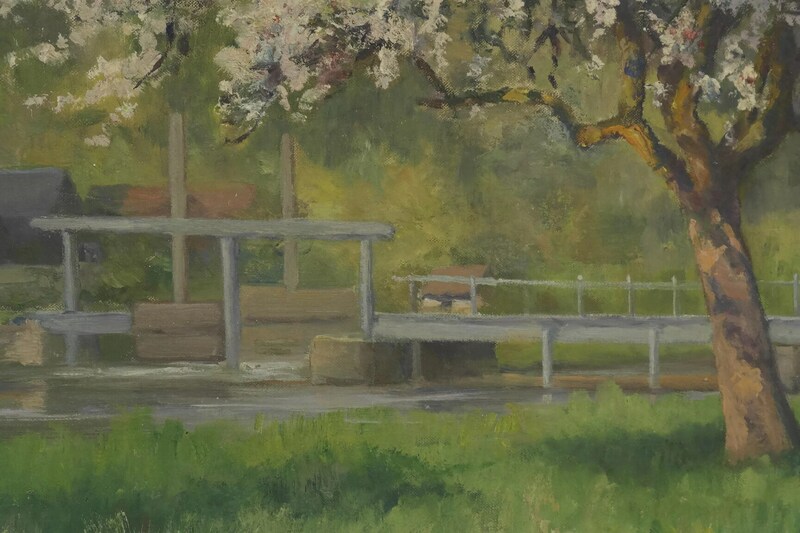 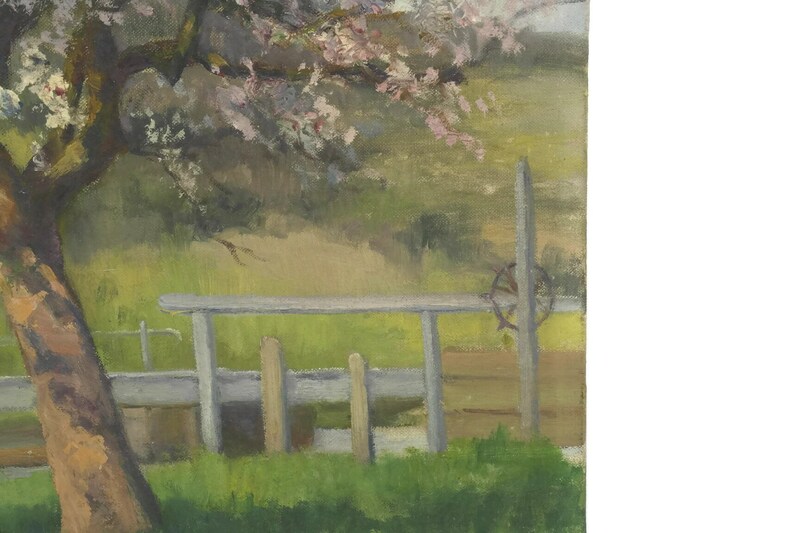 It has been created in oils on stretched canvas and portrays a country scene in Spring with a large tree covered in delicate lilac blossoms. 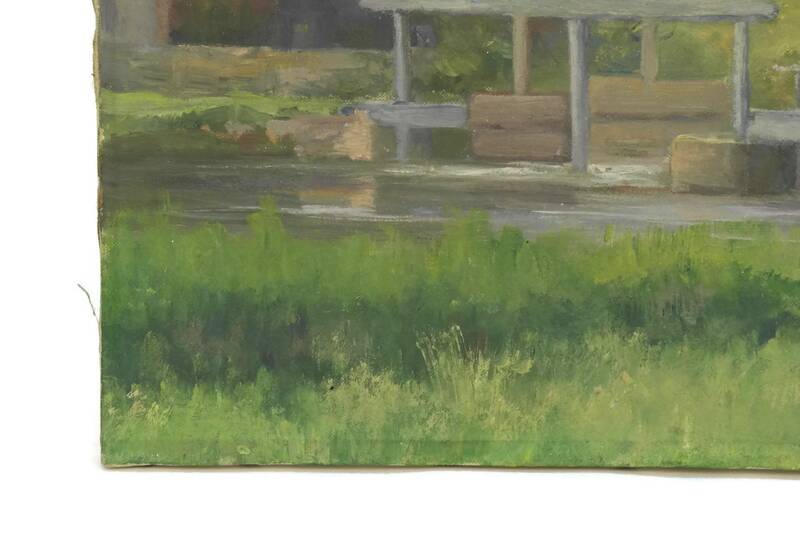 The large original art landscape has been painted in an impressionist style and is filled with light and has a fresh palette of shades. 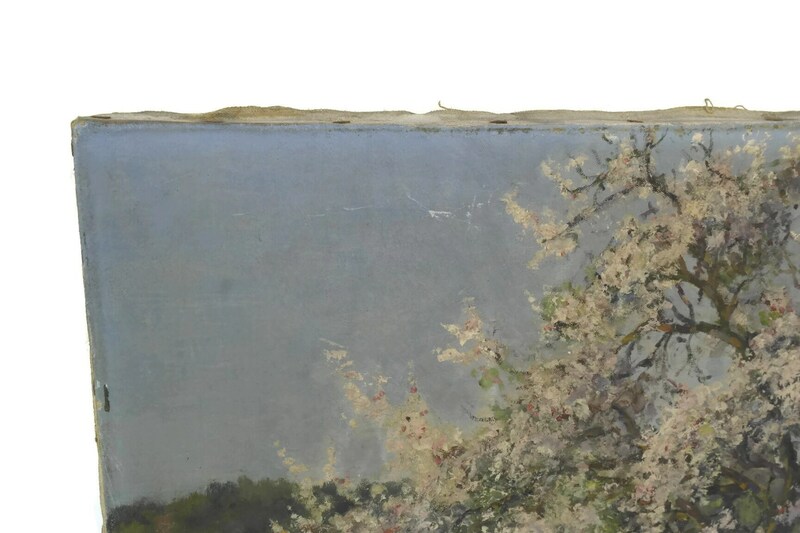 It has been signed by the artist in the lower right corner. 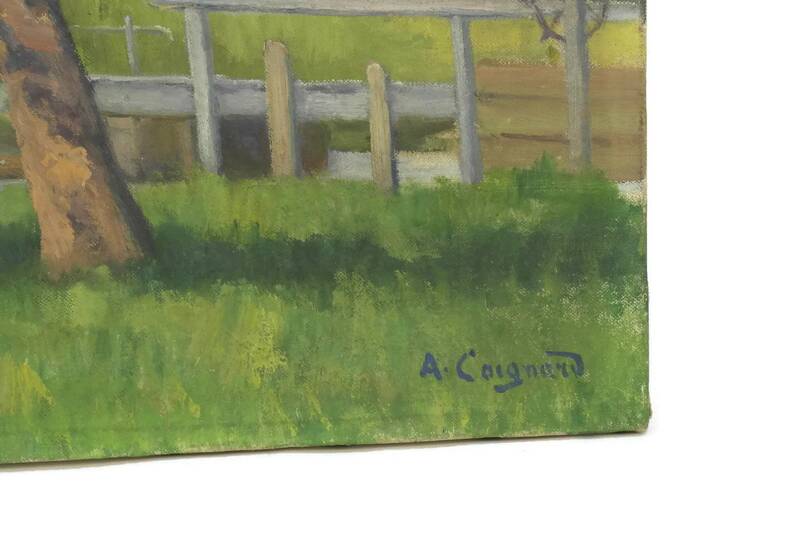 The painting will add a charming and authentic country touch to your French country home decor. 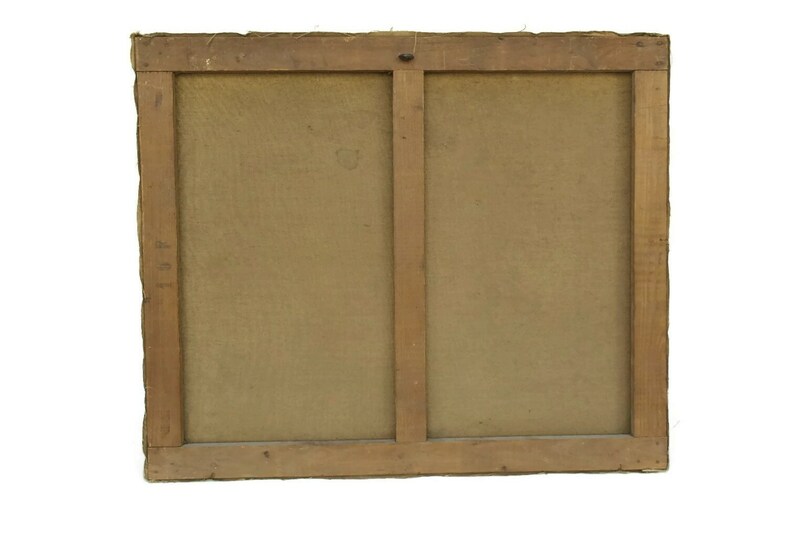 18" Tall x 21.5" Wide (46 cm x 55 cm). 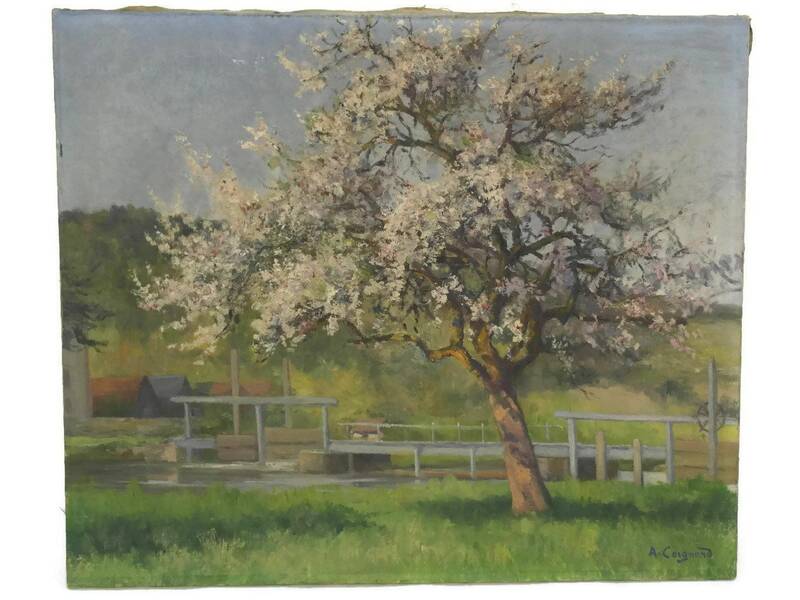 The country landscape painting is in very good antique condition with light wear.